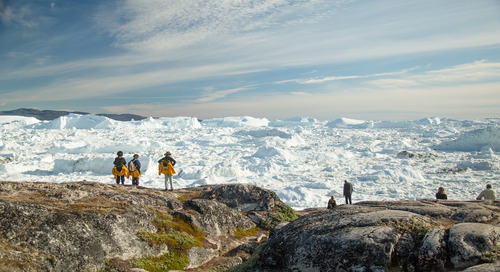 Where Should You Go on a Greenland Expedition? 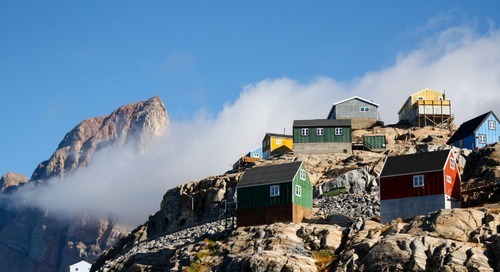 Home » Greenland » Experience Greenland: Where Should I Visit and Why? 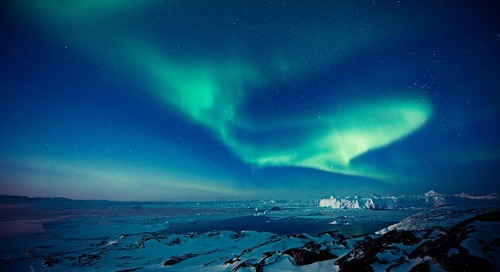 Best known for its stunning, sprawling wilderness, Greenland is the ultimate expedition destination for all types of travelers, from adventurers to history buffs, amateur to pro photographers, and travelers with a keen interest in Inuit, Thule and Norse culture. The largest island on the planet, its pristine coastal areas, massive fjords and immense parks make Greenland a nature lover’s paradise. 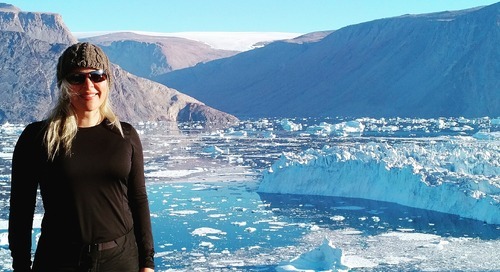 If you’ve dreamed of Zodiac cruising in a UNESCO World Heritage Site like Ilulissat Icefjord, or immersing yourself in Norse and Viking history at ruins like Hvalsey Castle, Greenland is the Arctic expedition destination for you. 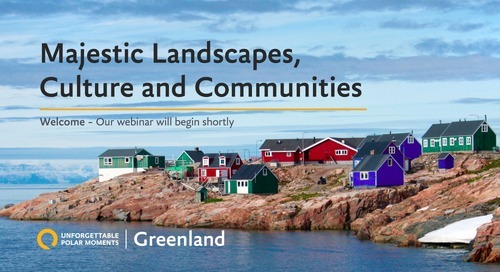 In this post, we’ll explore what you can expect to do, see and experience in Greenland, and how these three unique regions differ. Vast natural spaces including mountains, fjords and valleys, coastal areas, tundra, glaciers and more offer all the variety a lover of the great outdoors can handle. 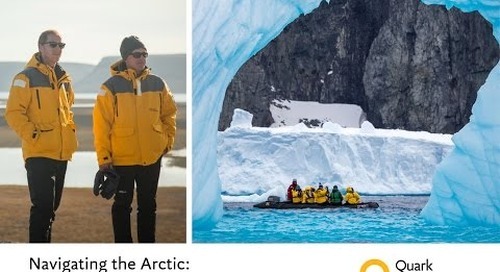 Depending on where you visit, you might go hiking in immense parklands, Zodiac cruise through ice-choked fjords and inlets, visit fascinating historic sites and authentic Greenlandic villages, and more. Keep your camera handy, as you might see muskoxen, whales or seals while out exploring or on deck. On your Greenland expedition, you’ll have access to the ship’s open decks and bridge for wildlife watching and photography as you cruise from one excursion site to another. Your Expedition Leader is constantly monitoring sea and ice conditions, charting the safest path forward to the most interesting and exciting Zodiac cruise and shore landing destinations. and onboard celebrations and events in the lounges, dining room and on deck, as organized by your Expedition Team. 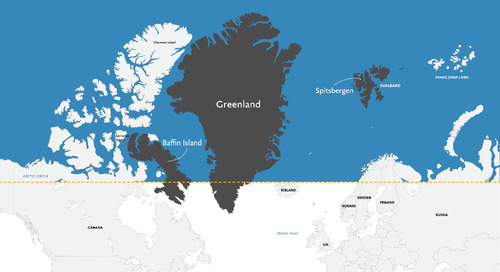 Where can I go in Greenland, and what’s the difference between regions? 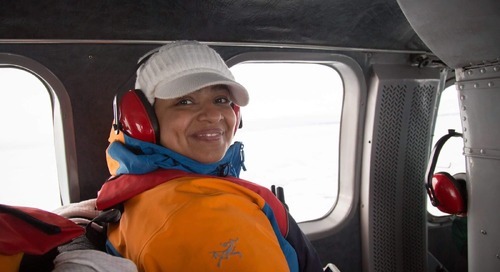 and land at the island of Ammassalik, one of the most isolated inhabited regions on Earth. relax in the the natural outdoor spa at Uunartoq, where three springs form a small stone-dammed pool you can bathe in beneath the surrounding soaring mountain peaks. 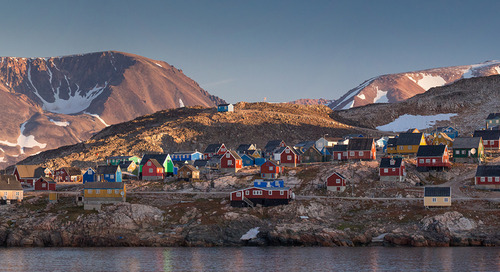 the friendly, colourful town of Sisimiut, where you’ll enjoy a traditional kayaking demonstration. How can I get to Greenland? Over twenty years of Arctic exploration has taught us that September and October are the best times to visit Greenland. 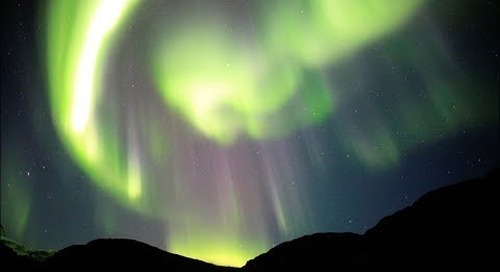 As the summer’s midnight sun wanes, the growing darkness improves the visibility of the Northern Lights. You’ll find that the later in the season you visit Greenland, the cooler and darker the conditions. 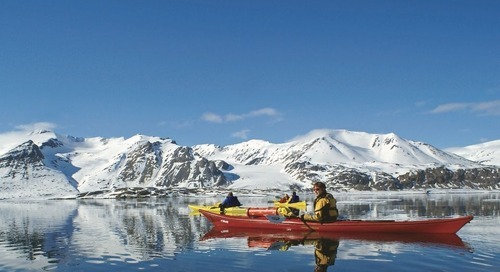 If you’re short on time and big on adventure, a 10-day Fly-Cruise Arctic Express expedition is just the ticket. You’ll visit fascinating Inuit settlements and get to know the people of Ittoqqortoormiit. 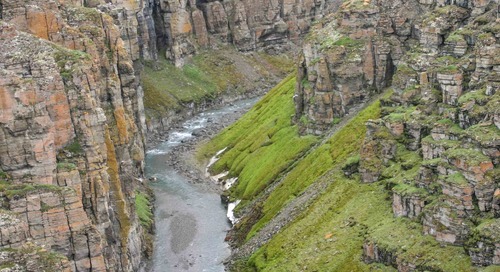 Trek the tundra and at Greenland National Park, where you can climb mountains and watch grazing musk ox and other arctic wildlife. 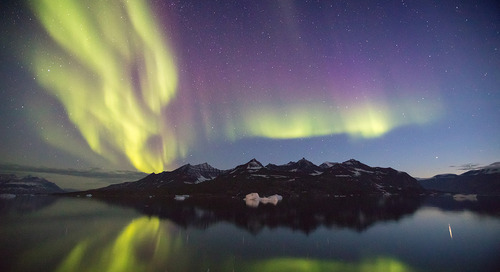 If the Northern Lights cooperate, you have a chance of seeing some of the best on the planet. If Greenland is one destination you’re hoping to explore as part of a larger, longer Arctic expedition, Three Arctic Islands: Iceland, Greenland, Spitsbergen is an option. You’ll spend 3 days exploring the best that stunning East Greenland has to offer, but also explore Spitsbergen and disembark in Iceland. 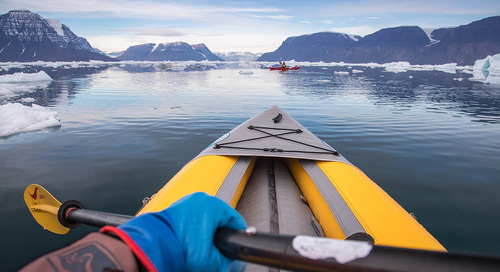 This is a good choice if you want to explore Greenland’s fjord-strewn northeast coast by Zodiac and on foot, visiting the remains of an ancient Thule settlement and cruising through Scoresbysund. 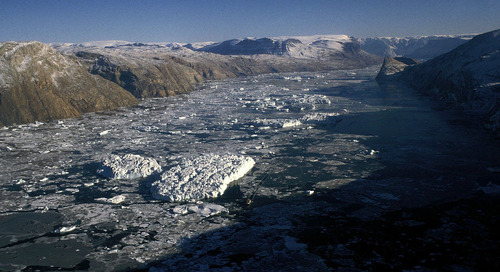 As you learned above, West Greenland and East Greenland are two incredible destinations each offering a unique type of experience. 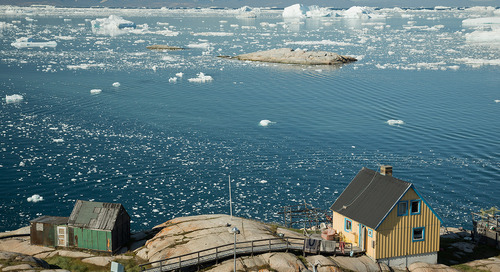 If you really want to immerse yourself in West Greenland, focusing on the Disko Bay area, Ilulissat Icefjord and Eqip Sermia, Uummannaq and traditional Inuit villages, this 10 day expedition might be the right way for you to experience Greenland. On the other hand, if East Greenland’s massive Scoresbysund fjords, vibrant Northern Lights and possible arctic wildlife sightings in the immense wilderness of the Northeast Greenland National Park are more your speed, 14 days on the East Greenland: Northern Lights expedition will do it. Want to see and do it all? 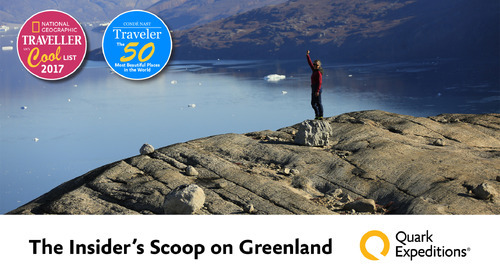 Visit all three regions for an in-depth, 15-day exploration on board Greenland Explorer: Valleys and Fjords. 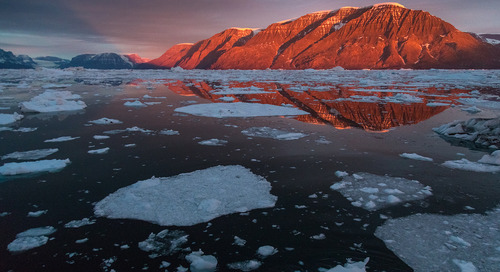 You’ll sail the coast and explore Greenland’s rich history, diverse ecology and dramatic scenery, all the while keeping an eye out for seabirds and Arctic wildlife. This will give you a chance to meet the locals, explore traditional Inuit settlements, visit Norse and Viking historic sites, and the experience Ilulissat Icefjord.